Forged on the anvil of the world-wide-web, the amorphous Stoke Harvester was created with the mission of finding and cultivating the board-a-culture communities of surf, skate, music and art. It was with this swatch that a vast pasture was created for beatniks, space cadets, and sand hippies. 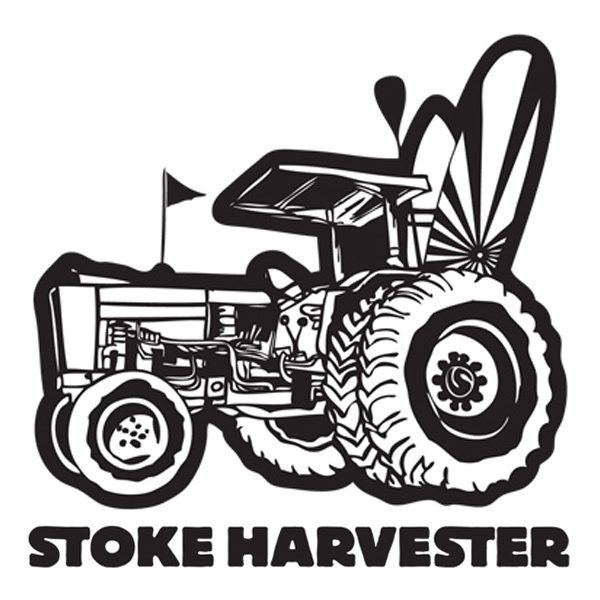 In February of 2011, Stoke Harvester besieged the brick-and-mortar alternatives perpetually plagued by bro-belligerent sales folk and physical limitations.